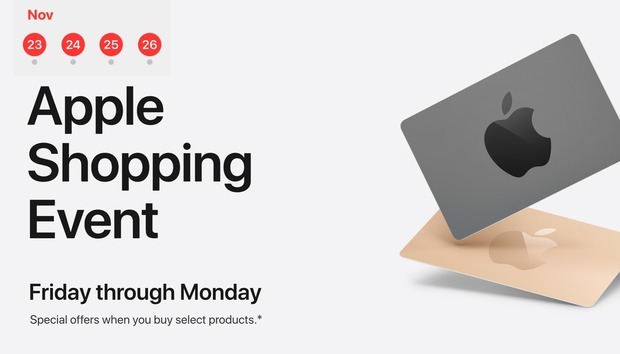 If you haven’t heard, Apple is running an uncharacteristically long Black Friday sale this year—a full four days. Unfortunately, Apple isn’t offering any deals on any of its new products—namely the iPhone XS, XR, or iPad Pro—nor or they handing out actual price cuts. Like in recent years, you’ll be paying the full amount for the devices you choose to buy and receiving Apple Store gift cards instead of lower prices. While Apple only allows two of each type of item (Mac, iPad, iPhone, etc.) to be purchased, it doesn’t put a limit on the number of gift cards you can get. So if you want to buy a MacBook Pro and an iPad, you definitely should, especially since your free gift card won’t arrive in time to use it on the a sale item. However, if you need dongles, cables, or maybe the Smart Keyboard to go with your new 10.5-inch iPad Pro, wait. You’re going to be getting gift cards that need to be spent, so why not buy ‘em on Apple’s dime? You’re going to get a gift card that will be worth up to $200, and the last thing you want to do is walk into an Apple Store with a couple hundred bucks burning a whole in your pocket. So before you press the Check Out button, make sure you have an idea of what you need to buy at the Apple Store with your credit. Because otherwise you’re not really getting a deal at all—you’re just getting more stuff you don’t need. A little known perk of the Apple Store is the Barclaycard Visa with Apple rewards. You earn three points for every dollar you spend at Apple, with a $25 iTunes or Apple Store gift card arriving after every 2,500 points ($833.33 spent). Plus, you’ll get $50 in bonus gift cards just for signing up and 6-, 12-, or 18-month interest-free financing, depending on how much you spend. If you buy a $1,799 13-inch MacBook Pro with Touch Bar, you’ll get an extra $100 to spend (on top of the Black Friday deal) plus you won’t have to pay it in full until 2021. The Apple TV 4K isn’t a new product, but it rarely goes on sale, so a $25 gift card on the $179 32GB model is actually a pretty decent deal. The Apple TV 4K is quietly one of Apple’s best products, with great picture quality, Dolby Atmos sound, and Apple’s excellent tvOS interface. If you don’t have one, you might want to grab it now, just in time to grab a 4K movie for cheap.